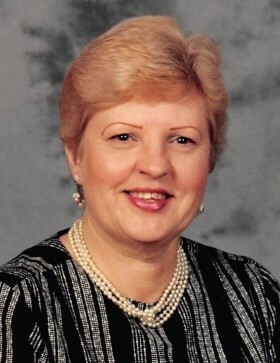 Jacksonville North Carolina: Patricia Sue (Bird) Vaughn, passed away on December 28, 2018 in Jacksonville North Carolina with family at her side. Pat was born in Winchester, Indiana on October 17, 1937 to Clarence and Roseadean Bird graduating from Royerton high school in 1956 and remained a faithful “Red Bird” for the rest of her life. Pat was a retired licensed practical nurse working in various hospitals and states. Pat was an avid bowler and archer for many years. Pat enjoyed watching western movies, especially John Wayne. She served as the President of the women’s auxiliary V.F.W. post in Lakeland, Fl. Surviving Pat are her husband; Arch D. Vaughn, son; Kent A. Snoeberger, loving sister; Sandie Ridge, nieces; Debra Ridge and Tresa Drew. She was blessed with two grandchildren; Karmen Snoeberger, Karl Snoeberger and 2 great-grandchildren; Tempest and Thorn. Preceding her in death were her parents, sons; Kevin A. Snoeberger, Kelvin A. Snoeberger and their father Karl A. Snoeberger. Memorial services will be held at Parson Mortuary at 2:00 PM Saturday January 12, 2019. Friends may call from 12 until service time.